No doubt this year have been a great year with lots of freebies and goodies from our stingy network providers. And also, I believe lots of faithful Downloaders and guys who don't abuse the power of Cheats have been rocking and managing Glo Bis here since last year... Lols. Today we'll be talking on how to get mtn free 250mb worth of data for N0.00 guaranteed, All thanks to the power of imei tweaking... And many thanks to the apps that makes imei tweaking possible... Mobile uncle, Mtk Engineering mode, Terminal emulator etc. 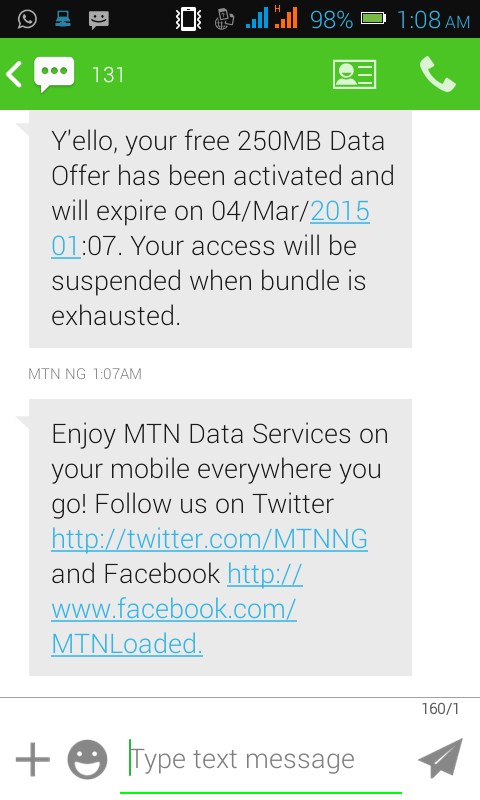 How To Activate Mtn Free 250+mb. I conclude you already know how to tweak your imei before even reading through this post. Assuming you're still new to all this, I'd advice you go through this Imei Tweaking Tutorial Here. 1. Input your new or old Mtn sim card to your Phone. 2. Goto your Imei changing app and select phone 1 or phone 2 depending on where you inserted your sim. 3. Input this first 9 digits since ' 867648010 ' since its the constant digit of the Nokia phone you're trying to clone anyway. 4. Select any random 6 digits from your head, add it to the 9 digits, then confirm its validity from this imei analyser Website here. 5. If its valid, you should receive a feed back like " it looks like this imei is valid... Bla bla blah"
6. Now copy the imei if its valid and input in your imei changing tool... Then send the command. After sending, restart your phone and SMS "Nokia to 131"
You should receive your own 250 mb. What's more fascinating is that, you can actually get more mb by tweaking to another imei and resending the code. Assuming you receive a text like " Dear customer, you are eligible for only one 2MB data plan daily." Just generate a new imei from the method above, and you should be smiling with your own free data.